The Grammy award winning Norah Jones is returning to Red Rocks Amphitheater on Tuesday 16th July 2019 – to perform an incredible set like never seen before! The wonderful pianist and guitarist will blow you away with her jazz influenced songs to soothe the mind and heal the soul. Come and catch all of your favorites live in one place, such as her 2002 smash hit Come Away With Me and so much more. Tickets for Norah Jones are now on sale – book while you still can! The daughter of Indian sitar player and composer Ravi Shankar, and half-sister of fellow musician Anoushka Shankar, Norah Jones is an American singer, songwriter, multi-instrumentalist and actor. Her solo career in music first came to light all the way back in 2002, when she released her debut unforgettable album, Come Away With Me, the record was certified diamond, selling over 26 million copies and gave her five Grammy Awards, including the Album of the Year, Record of the Year, and Best New Artist. 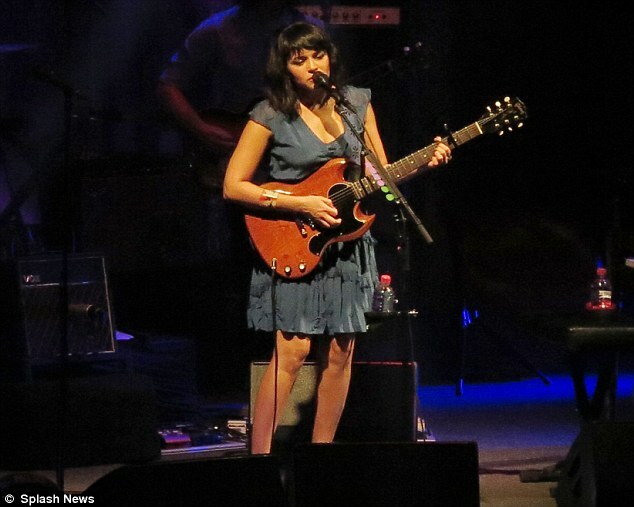 Overall, With a whopping total of 9 Grammy Awards, Norah Jones was named the top jazz artist of the 2000–2009 decade by Billboard, as well as being ranked 60th on their artists of the 2000–2009 decade chart. There's been no stopping her, Norah Jones has released six studio albums, and has sold more than 50 million albums worldwide! With her outstanding career, Norah Jones continues to tour the globe and bring where-ever she goes a full rounded set of songs that she's working on, brand new material and old classics that everybody just can't get enough of. She brings a blissful soundscape for audiences to dive into, making seeing her live a real treat for those who love her music. "Her oeuvre seemed lightweight easy-listening, especially compared with the more serious reputations of her father Ravi Shankar and half-sister Anoushka. But in her own way, Jones has enjoyed quietly flexing her muso muscles." "Her voice was in as fine a form as anyone could have hoped – smooth and soulful, with enough chalky huskiness to give it character. It all sounded completely luxurious, from the front row of the theater to the balcony." "Touring behind her finest album in several years, the mellow and infectious “Day Breaks,” Norah Jones came to play a set of music that was lively and wide-reaching."